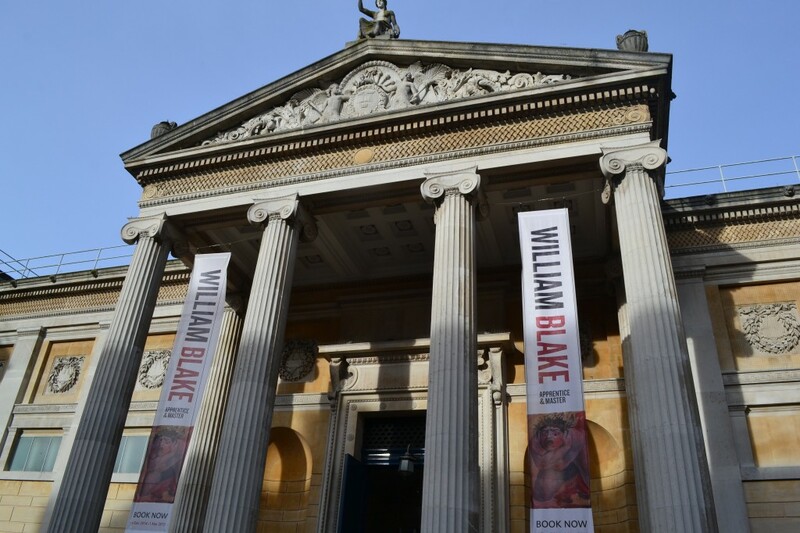 Being that the Ashmolean Museum is one of the finest in the world and that it happens to have been created in the 17th-century, I was thrilled to have been able to finally visit last Wednesday. 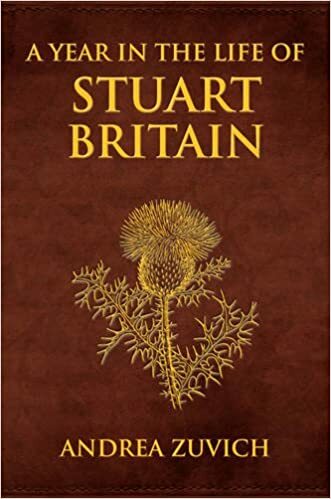 One can live in a country for years and sadly miss out on some of the gems. 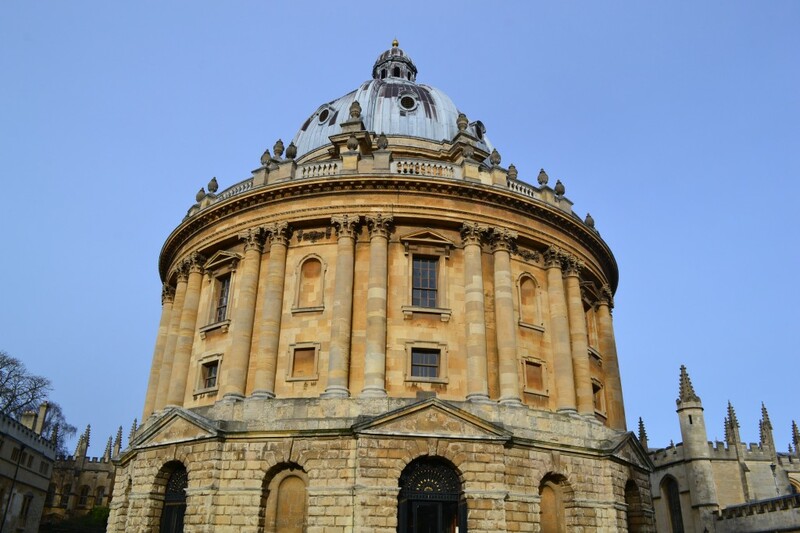 I met up with my friend, 18th-century historian Jacqueline Reiter, for a coffee and then we walked around Oxford before making our way to the 17th-and-18th-century exhibits in the Ashmolean. The current Ashmolean Museum is housed in quite a striking building, as you can see here, but this building is not the original building to house the Ashmolean Museum – that building is now, I believe, used as the Museum of the History of Science (which I did not visit on this trip – I didn’t have enough time!). Most fortunately for us, photography was permitted! I’m so pleased, because it’s as though we’ve all gone to the museum together. So, let’s get started! 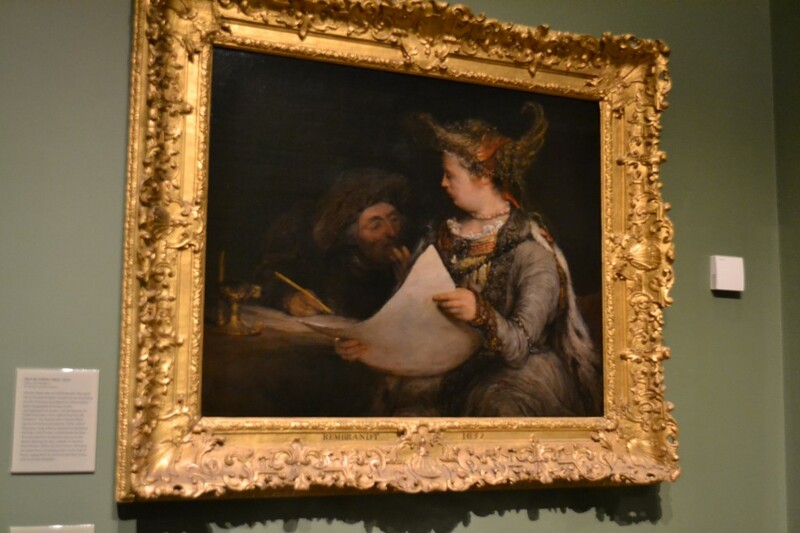 The Ashmolean Museum was founded in 1683 by Elias Ashmole, pictured here on the left. 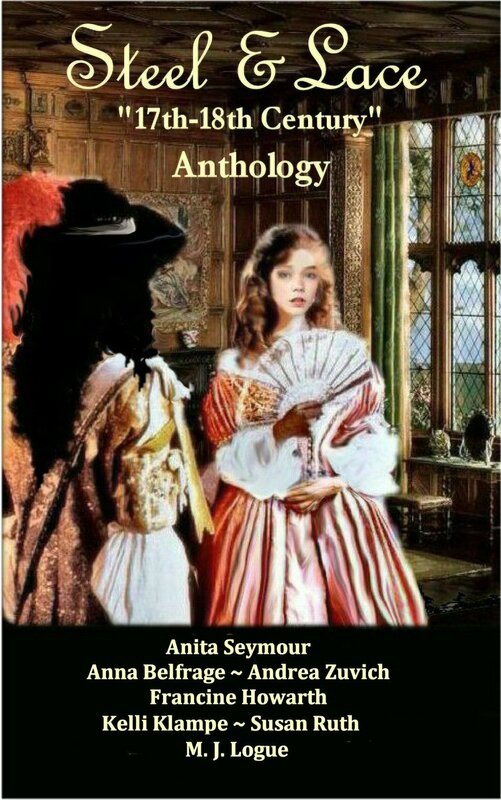 Born in 1617, Elias Ashmole was an English antiquarian who was a Royalist during the English Civil War. Founded in 1683, at a time when the idea of the ‘museum’ was brand new, Britain’s first public museum, the Ashmolean, was initially the home of a collection of miscellaneous manmade and natural specimens and curiosities from every corner of the world, which was presented to the University by the wealthy antiquarian and polymath, Elias Ashmole. The neoclassical architecture of the museum dates back to 1845, when it was built to house the University’s art collection. 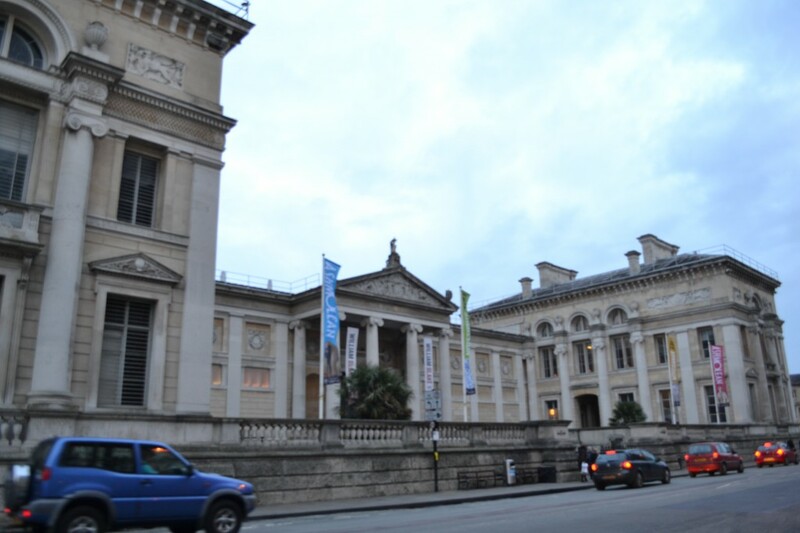 The archaeological collections were moved into the building in the 1890s to form what is, today, the Ashmolean Museum of Art and Archaeology – one of the most important museums of art and archaeology in Britain. The museum today is a veritable treasure trove of historical artefacts – from the great ancient civilisations up throughout throughout the ages. Indeed, the museum is famed for its exceptionally good Egyptian exhibit. 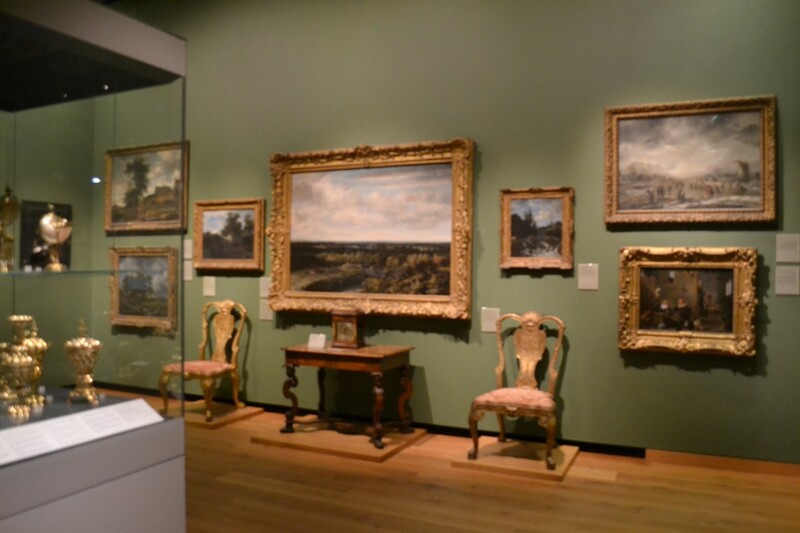 The present Ashmolean was created in 1908 by combining two ancient Oxford institutions: the University Art Collection and the original Ashmolean Museum. The older partner in this merger, the University Art Collection, was based for many years in what is now the Upper Reading Room in the Bodleian Library. 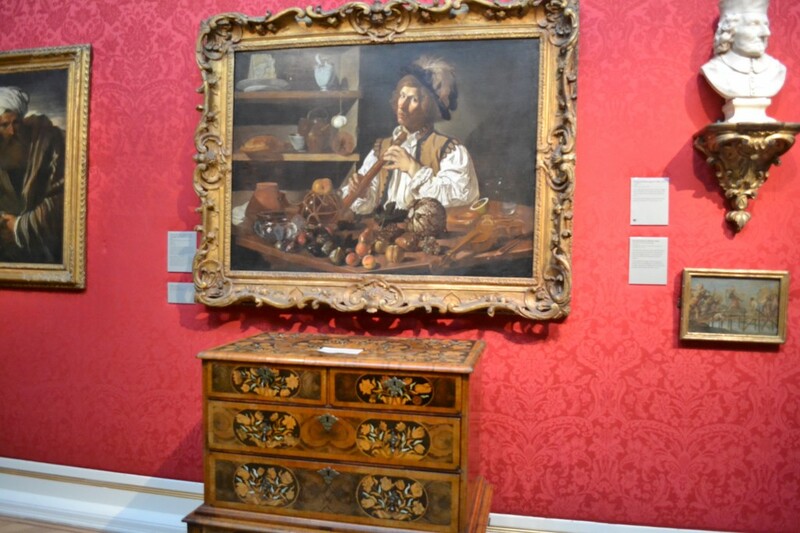 The collection began modestly in the 1620s with a handful of portraits and curiosities displayed in a small room on the upper floor. 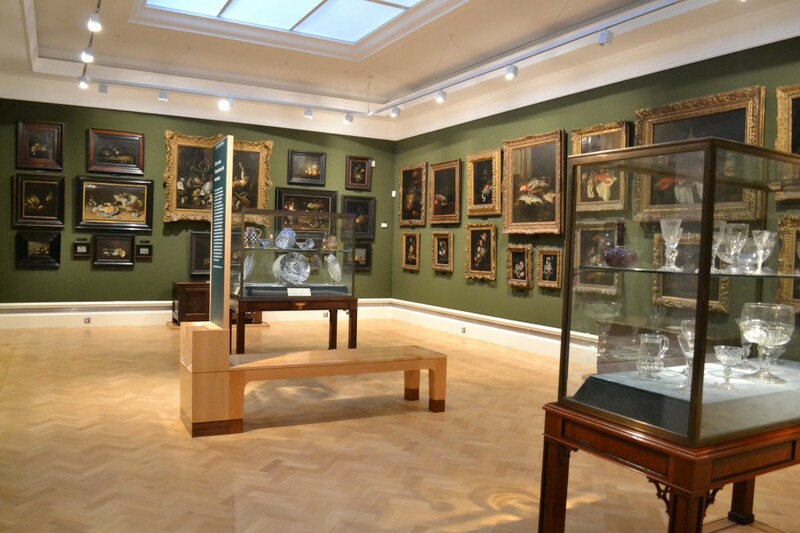 In 1636 and 1657, Archbishop Laud and Ralph Freke added notable collections of coins and medals, later installed in a strong room of their own and now incorporated into the Ashmolean coin collection. The objects of curiosity included Guy Fawkes’ lantern and a sword said to have been given by the pope to Henry VIII, both now in the Ashmolean, as well as a number of more exotic items, including Jacob’s Coat of Many Colours, long since lost. 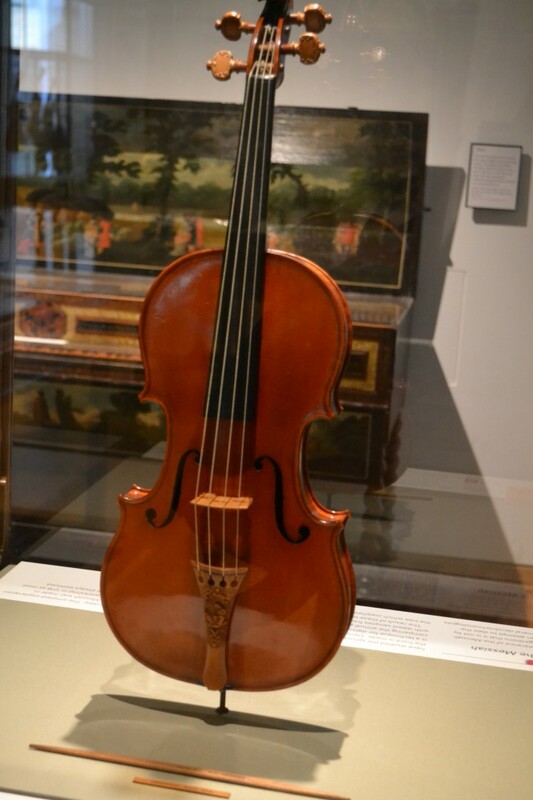 However, as there was a museum for curiosities of this kind in the University Anatomy Theatre, objects like this tended to go there or to the Ashmolean, after it opened in 1683, leaving the Bodleian gallery to develop as a museum of art. 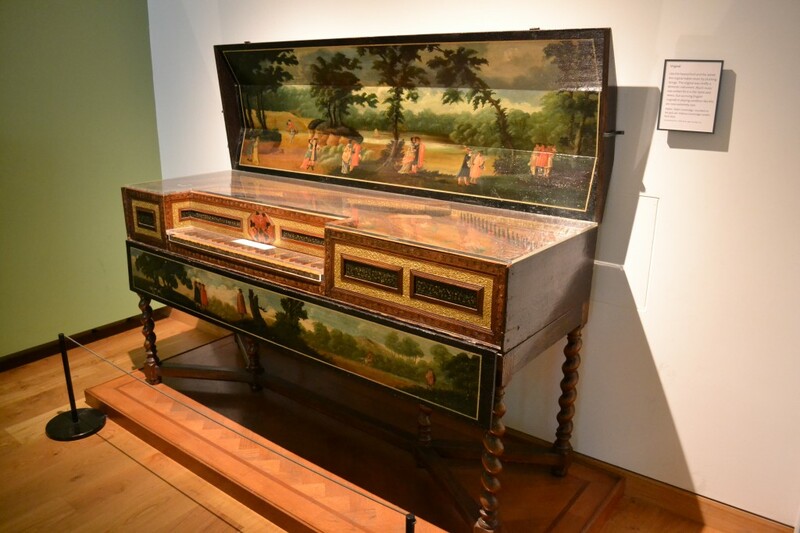 Learn more about the history of the Ashmolean Museum. 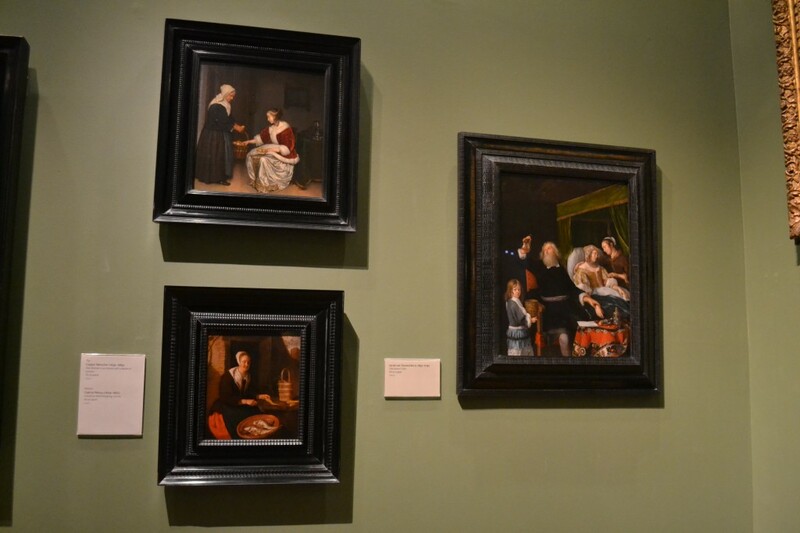 On the other wall, there were several 17th-century paintings from the incomparable Dutch Golden Age. 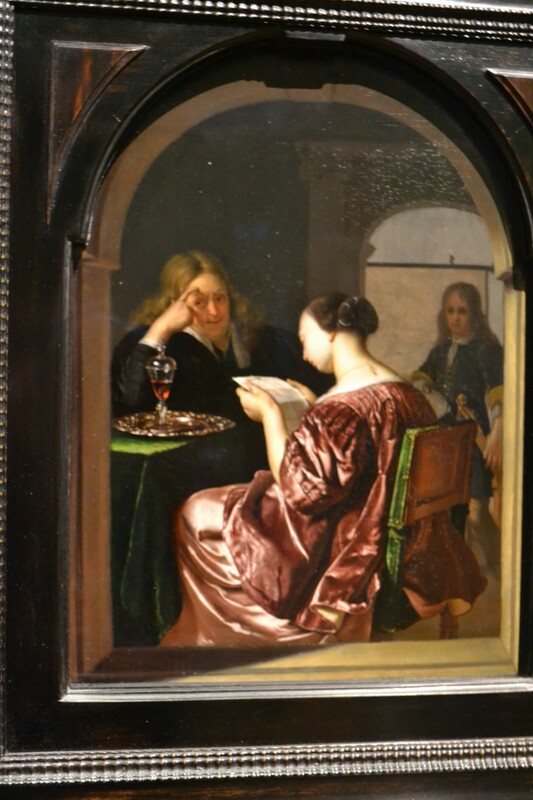 Among them, was a lovely small painting by Gabriël Metsu. 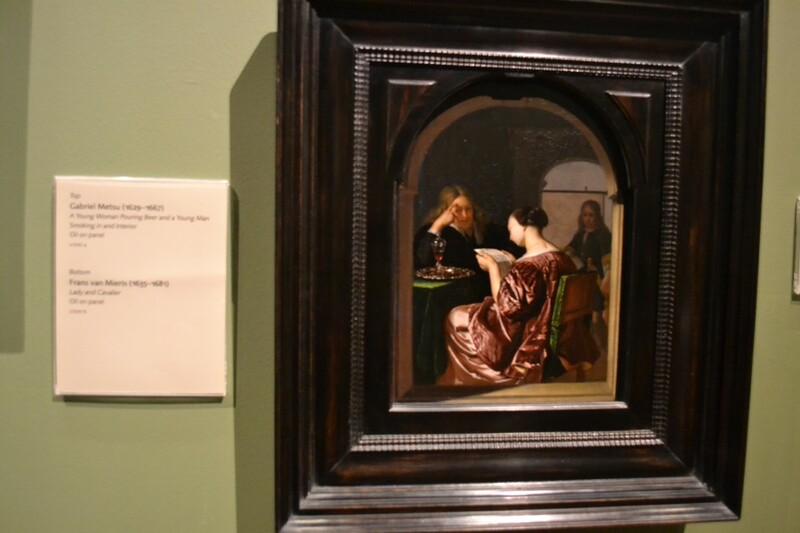 I am a big fan of Metsu’s work, and it was a great pleasure to be able to see some of his work in person. 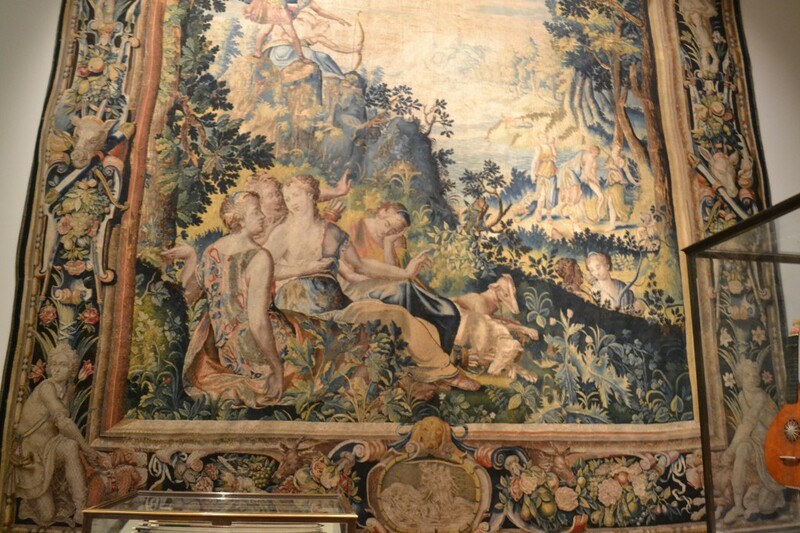 You may be able to get a better idea of how perfectly depicted the fabrics are – the velvets are particularly well done. 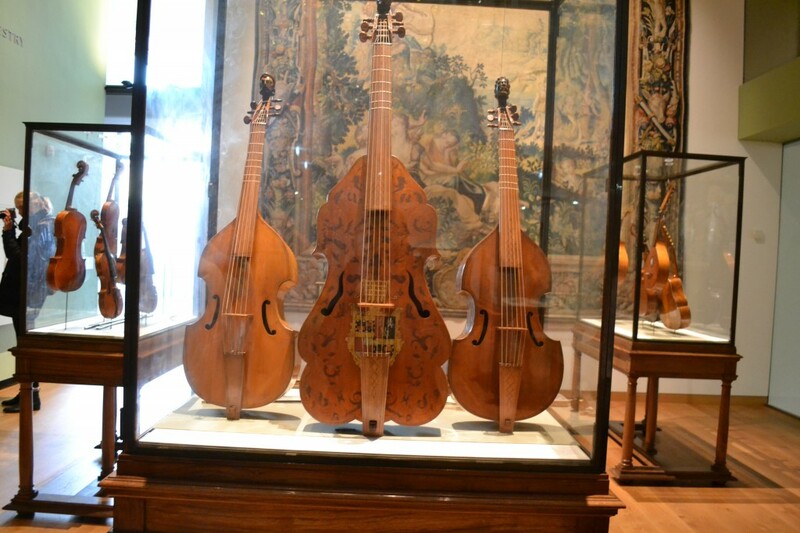 We were surprised to discover that Stradivarius did not just make violins, but guitars, too! 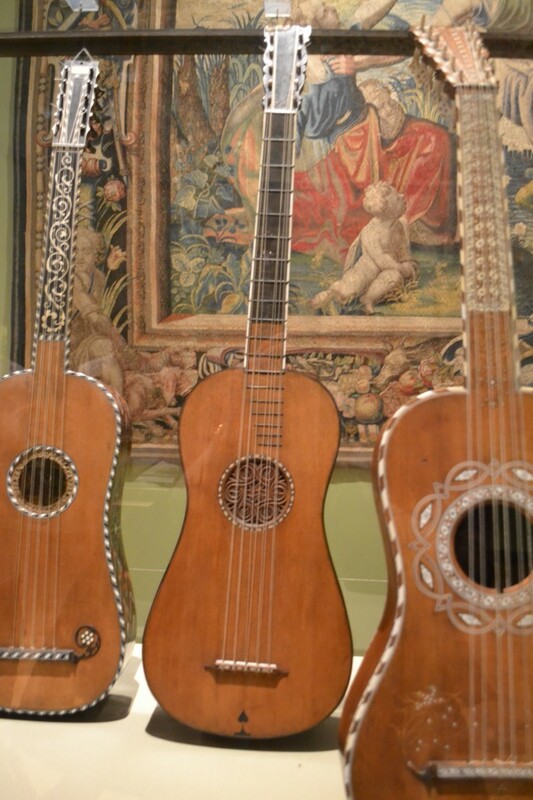 The guitar – second from the right – is a Stradivarius. 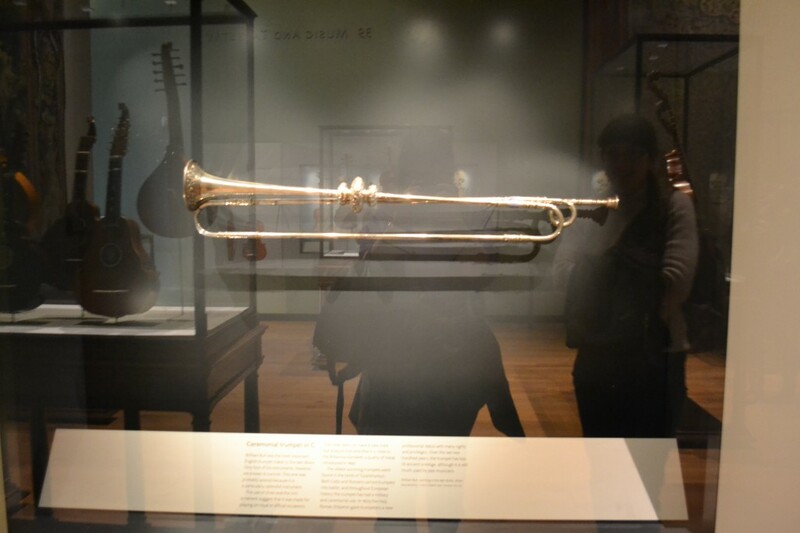 The amount of detail on all the musical instruments we saw was breathtaking and a testament to the great craftsmen who made them. There were several delightful plates from the 17th-century, which included depictions of William and Mary, the Duke of Ossory, the Duke of Marlborough, Charles II, and others. 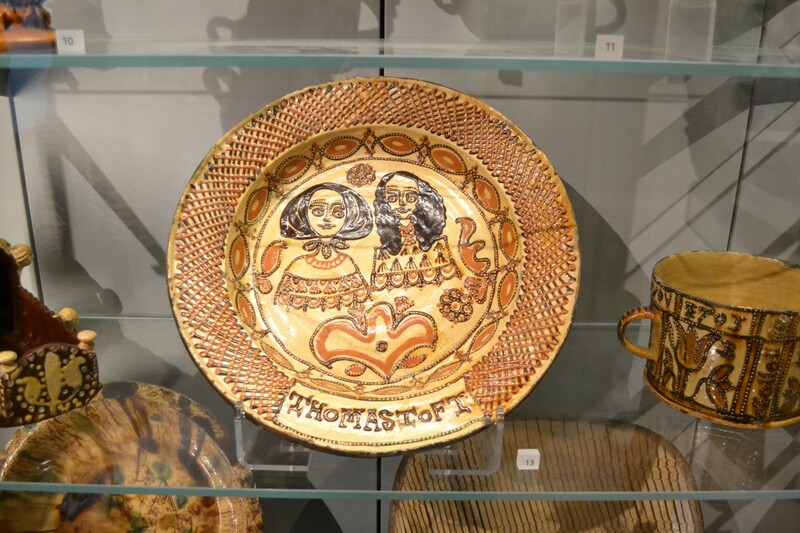 Next we have a Thomas Toft charger plate depicting Anne Hyde and James, Duke of York (James II). I found this quite interesting – as I hadn’t seen them depicted together on plates before. Although the images may seem to us crude, this kind of plate required a great deal of technical skill. 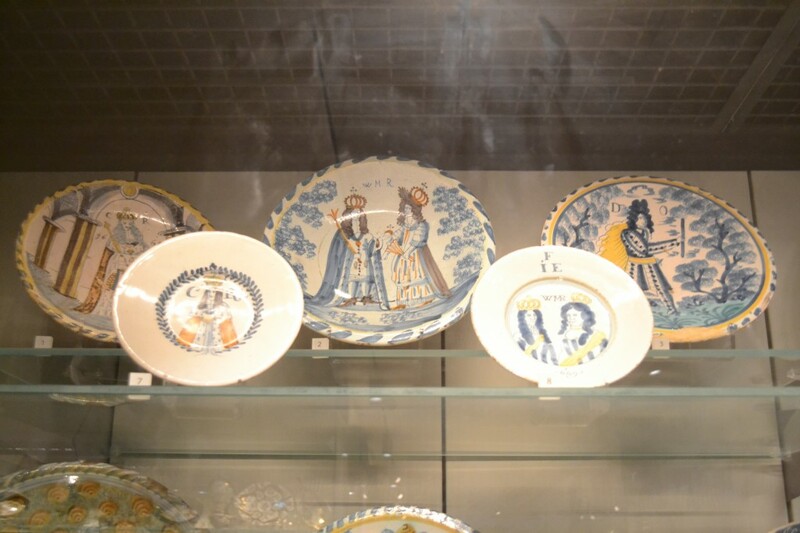 Surrounding this plate, there were other examples of stoneware and Delftware typical of the time period. In another part of the building, there was an exhibit of rings from various time periods. 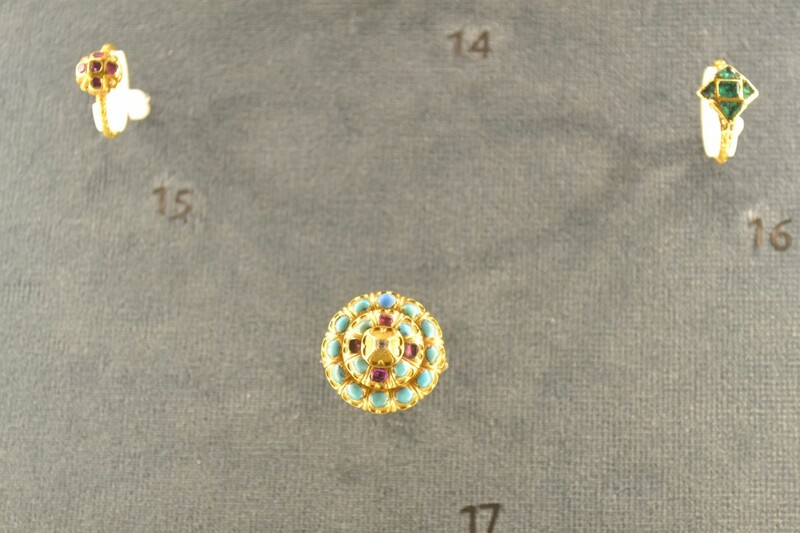 I found three 17th-century rings together, so I photographed these. The one that surprised me the most was the bottom one – which seems, in my opinion, slightly unusual for the time period. What do you think? 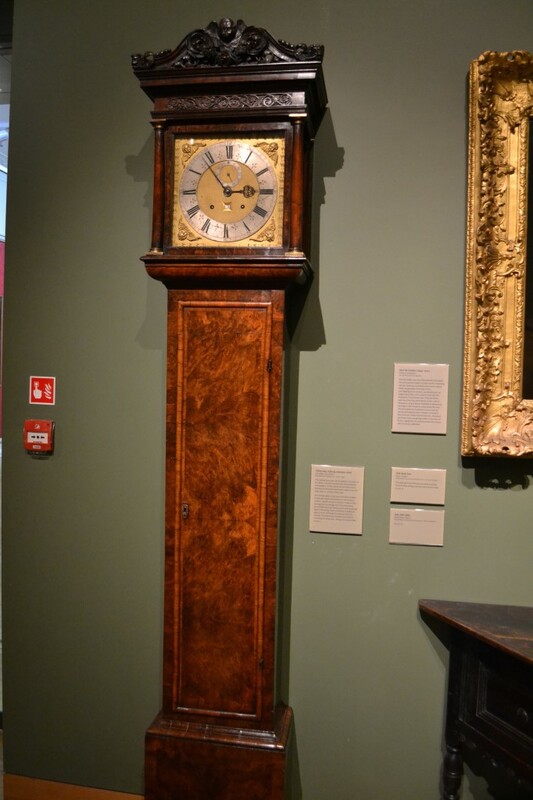 Next up, we saw this fabulous Baroque clock. Look at the craftsmanship! This room held loads of 17th and 18th-century glassware and many Dutch still-lifes. On the same floor as the WC and cloakroom, there were several display units which were of great interest to us as lovers of 17th-century history. Just look at these coins from the English Civil War! Charles I established his headquarters in Oxford during the English Civil War. Oxford’s New Inn Hall Street (300 metres from the museum) housed the king’s most important mint. Between 1642 and 1646, it turned much college treasure into coinage to pay the king’s soldiers. A solider earned around 12 pennies a day. 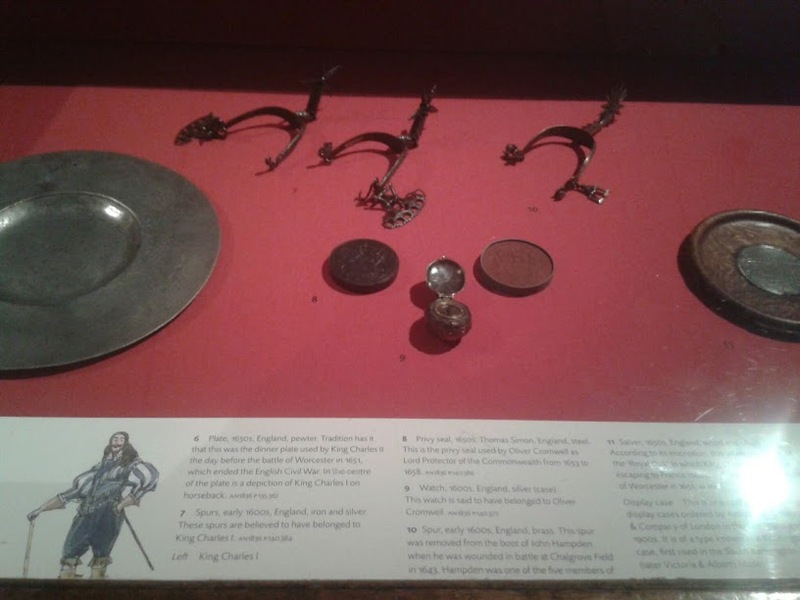 tradition has it that this was the dinner plate used by King Charles II the day before the Battle of Worcester in 1651, which ended the English Civil War. The spurs in the photo above were from the early 1600s. The gloves below belonged to Queen Anne, who the description below states, “attended the opening of the Ashmolean as Princess”. 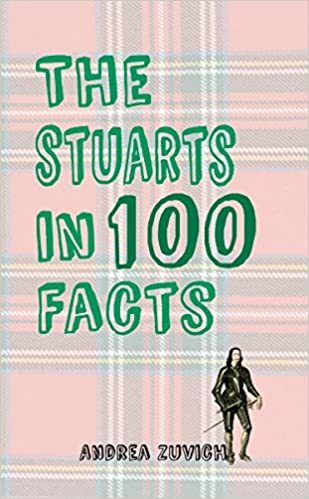 I looked around their gift shop (I’m a sucker for museum and stately home shops! ), then had lunch at the nice cafe. Yes, that’s a bust of Rupert of the Rhine, aged eighteen! 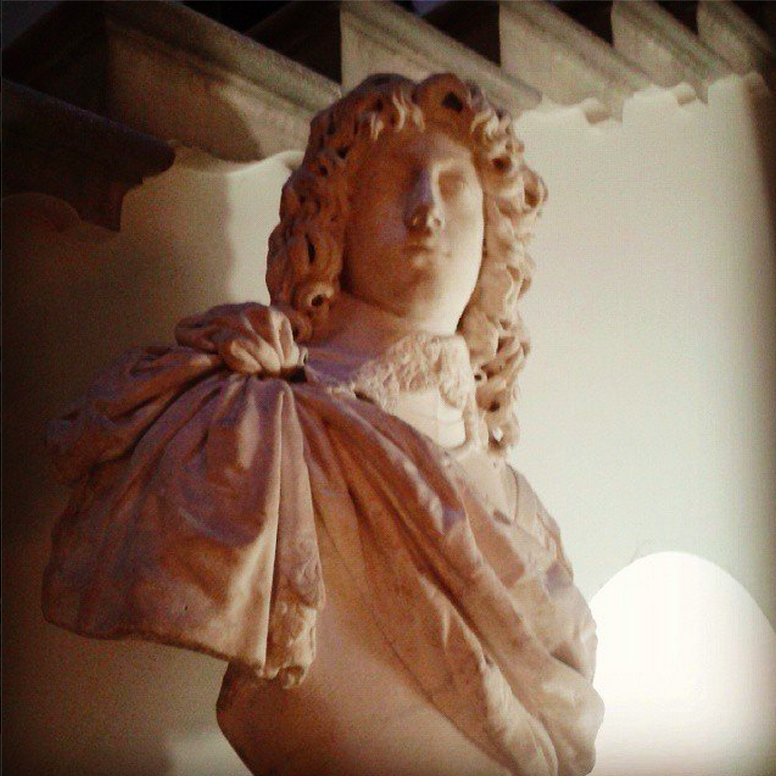 This lovely bust was made from marble by Francois Dieussart in 1637. I probably made some weird noise like the fangirl that I am and a few people chuckled. Oh well. 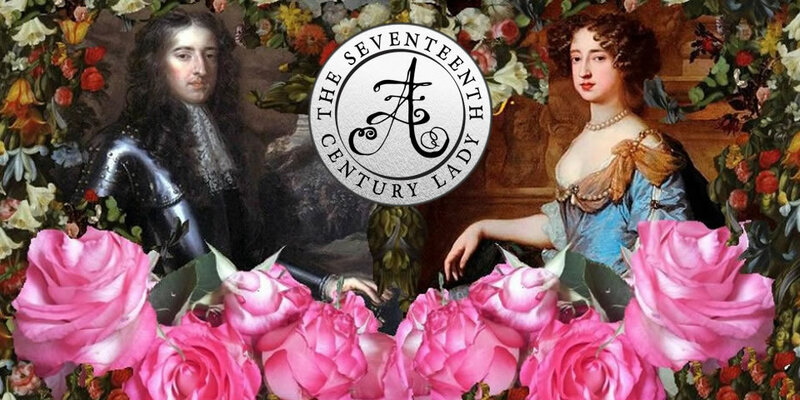 I am The Seventeenth Century Lady and I do get excited about such things! 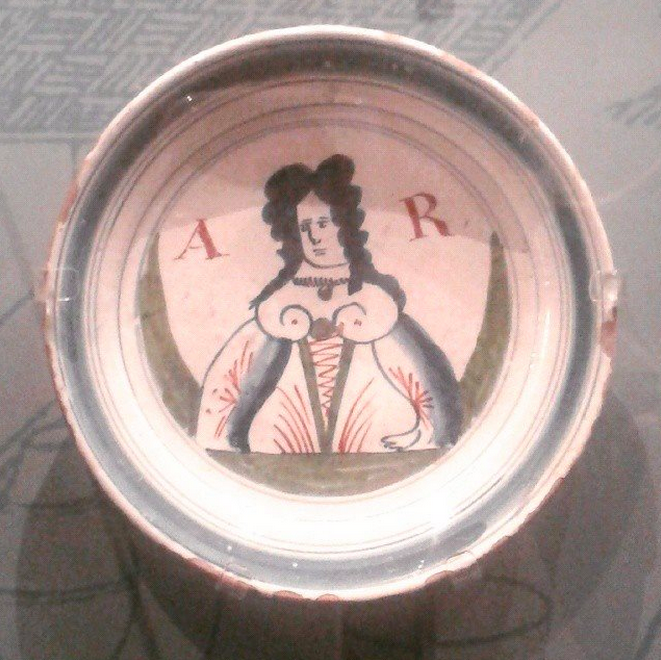 Anyway, I do hope you’ve enjoyed this small tour around the Ashmolean Museum. An excellent presentation of the Ashmolean, Andrea. I obviously missed so much —I must make another visit! Another fab post – I’d imagine myself wandering through there very slowly with my mouth open most of the time! Those plates always amuse me – I wonder what the subjects made of them, if they ever got to see them. 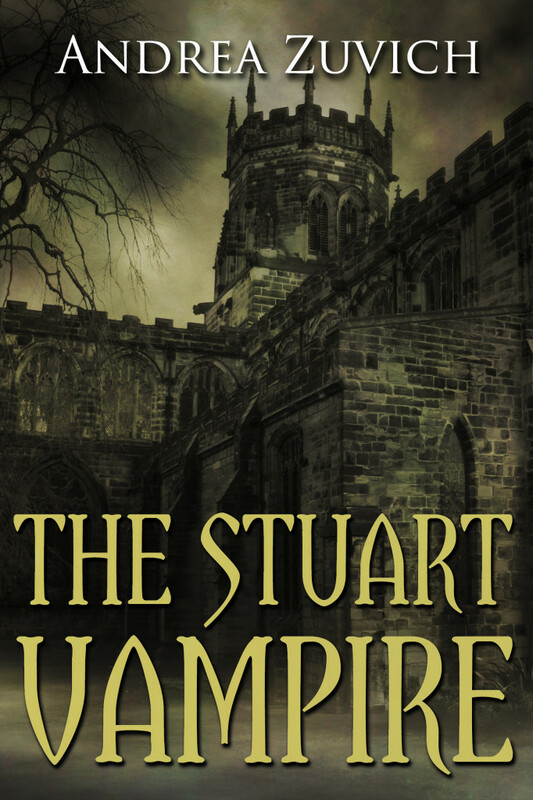 Would they have found them as curious as we do, despite the skill involved? 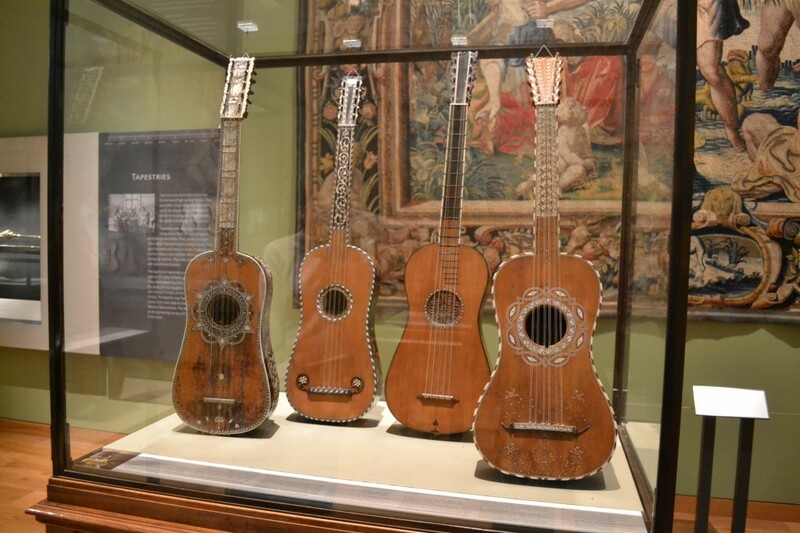 Special thanks from me for posting the photo of the Baroque guitars. I would like to have one built someday if I can get precise measurements. 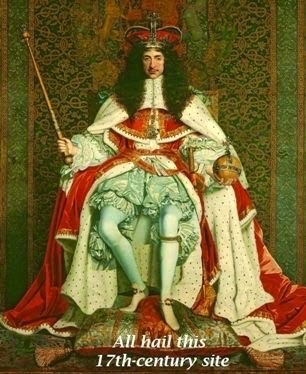 I wonder if Queen Anne even knew .. I would have thought this was a capital offense!!! I agree, the Ashmolean is fantastic – I last went a few years ago when they had just revamped much of the interior including the Egyptian galleries… which perhaps inevitably were my main focus of interest! 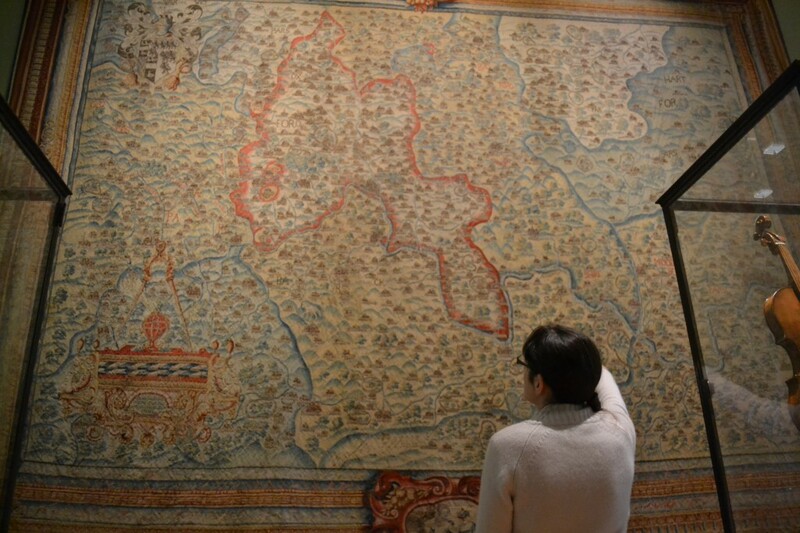 The Sackler library alongside is the academic counterpart to the physical artefacts in the museum – if you are fortunate enough to get reading rights (which I was for a while, though these have now lapsed with the passage of time) it is a real treasure trove.